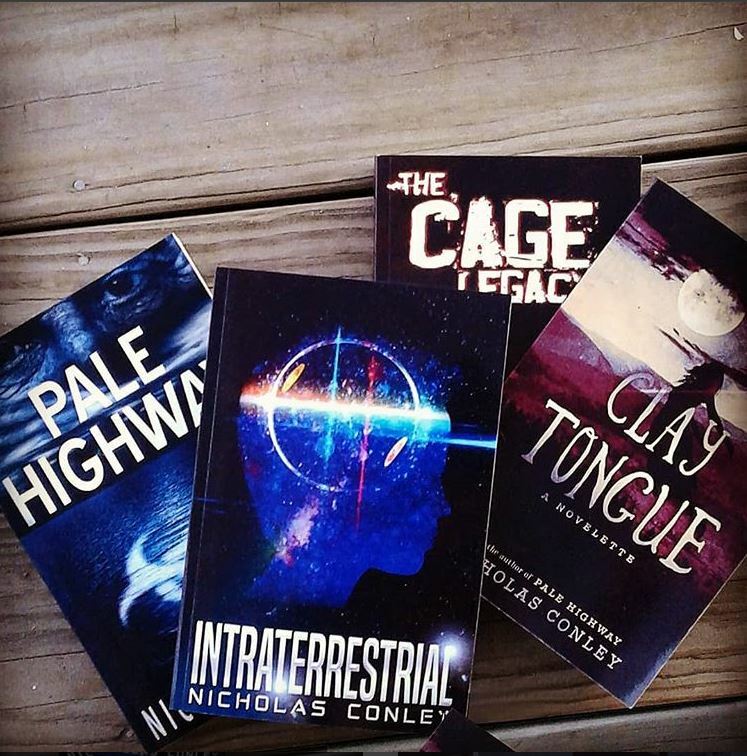 Thanks to a cosmic UFO mail delivery, the Intraterrestrial paperbacks are now available! Finally, young Adam gets to claim his own spot on the self alongside Gabriel (Pale Highway), Katie (Clay Tongue: A Novelette), and Ethan (The Cage Legacy). All books, I heartily recommend! Your endorsement is deeply appreciated!